We do thorough checkups and cleanings, including educating you on proper hygiene so your teeth last a lifetime. We’ll help you keep your teeth healthy and bright! Here at Santa Maria Dental Group, Dr. Nguyen has created a comfortable environment staffed with caring professionals. We are here to provide an affordable dental option that is caring, honest and ethical. Our goal is to keep each patient’s teeth and gums healthy and always work toward their preservation, thus avoiding the need for dentures. Our staff give you the best care possible. When you visit us you can depend on getting high-quality dental care that is gentle. Dr. Nguyen will take care of your smile needs as gently as possible while providing you with the best possible oral health care. That’s why she performs state-of-the-art procedures and uses advanced dental equipment like DentalVibe® for pain-free injections. If you’re one of those people who hate dental shots, you’ll love Dr. Nguyen’s DentalVibe®, which is a revolutionary pain-free injection device that is effective for children and adults alike. DentalVibe® uses vibrations that reaches the sensory area of the brain before the pain does, closing off your body’s neural “pain gate” so that pain can’t pass through. The result is comfortable injections that are truly pain free. 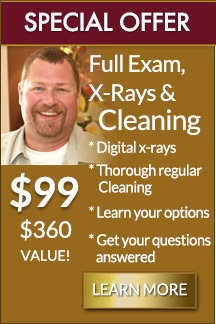 Santa Maria Dental Group provides comprehensive exams and cleanings. Dr. Nguyen is very experienced in caring for teeth and keeps up-to-date on all of the newest dental advances through on-going continuing education courses. We give very thorough exams to help spot any areas that need attention. 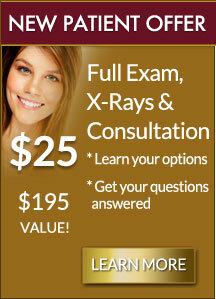 Dr. Nguyen offers new patients a $25 exam that includes X-ray’s and a consultation. She will conduct a thorough exam and then create a customized treatment plan personalized to your needs. And her compassionate, friendly staff will go out of their way to make you feel comfortable throughout your visit. Only $25 for new patients. Usual value $195! To make an appointment, call us at 805.349.7999 or click here to request an appointment online. Good oral hygiene is of utmost importance in preventing tooth decay and fighting gum disease, the #1 cause of adult tooth loss in the United States. You can count on us to be very gentle during your cleaning and to make sure that you’re comfortable, too. During your cleaning we remove tartar buildup that can cause tooth decay using an ultrasonic scaler. With this state-of-the-art technology we can quickly and effectively clean your teeth with minimal discomfort using gentle sound waves. After the cleaning we will polish your teeth so they are bright and shiny! *In some cases it is not possible to go straight into a cleaning, such as if deep cleaning is needed for mild to moderate gum disease. 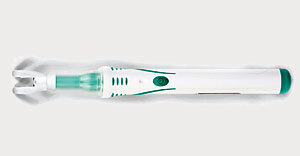 In handling gum disease, we first remove tartar from the teeth with the ultrasonic scaler. Scaling and root planing are the first steps in treating gum disease. Scaling involves removing tartar from your teeth. 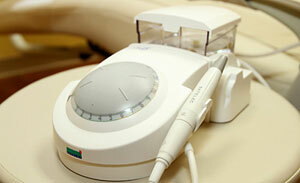 This is performed using an ultrasonic scaler to gently remove deposits that have built up. We then carefully plane the root surfaces to help prevent future tartar buildup. Smooth root surfaces also allow your gums to regenerate without irritation. Your gum tissue shrinks and tightens around the teeth, since the irritant has either been eliminated or reduced. After completing your treatment, you will be shown the best ways to keep gum disease from returning. “I needed a lot of dental work done: cleaning, multiple cavities, root canals, crowns and cosmetic dentistry. I have very sensitive teeth so going to the dentist was not a happy place for me, until I met Dr. Nguyen. All on-site practice photographs ©2019 Keith Gilleard and Gilleard Dental Marketing.